Here at Brent Carpets, we understand that purchasing new flooring needs careful consideration to ensure you make the right choice for your property. To help with the decision-making, we have put together an article with answers to the most frequently asked questions, so you have all of the information you need prior to purchasing with us. What services and products do you supply? Who do you supply carpets and flooring to? We supply and fit the finest quality carpets in both homes and business throughout London. What kind of customers have you previously worked with? We pride ourselves on the quality of our workmanship and our products, both of which have allowed us to establish a wide client-base, from offices and homes to estates agents and red carpet events. Take a look at our case studies page to find out more about our previous work. Which brands do you stock? 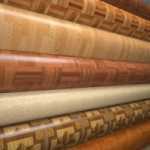 We supply carpets and flooring from leading manufacturers, such as Amtico, Georgian Carpets, Cormar Carpets and Brintons Fine Carpet. What does a home visit involve? After getting in touch with us, we will organise a home visit which will entail a free initial consultation and measuring service, as well as providing you with free samples in all styles of carpet and flooring. What does the fitting process involve? Yes, all of our carpets come with a 5 year manufacturers guarantee. We are open 9:30am-5pm Monday to Friday and are closed at the weekends. 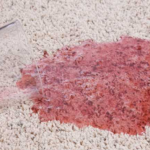 For a pristine, long-lasting finish, it’s important to keep your carpet clean by vacuuming regularly, soaking up any spillages as soon as they happen and moving furniture around to prevent dents. For detailed advice on how best to do this, take a look at our informative blog post which provides tips on how to take care of your carpet. For further information or to arrange a free home visit, please get in touch with our friendly team today – we are always happy to help with any enquiry. You can also pay a visit to our showroom in Kingsbury, London to view examples of our carpets and flooring first-hand. 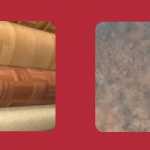 Thermal insulation: which type of flooring is best?